While a long set of whiskers and a full, bushy beard is often seen as a sign of masculinity, a clean shave is often a sign of good grooming habits, professionalism, and a specific eye for detail in the workplace. 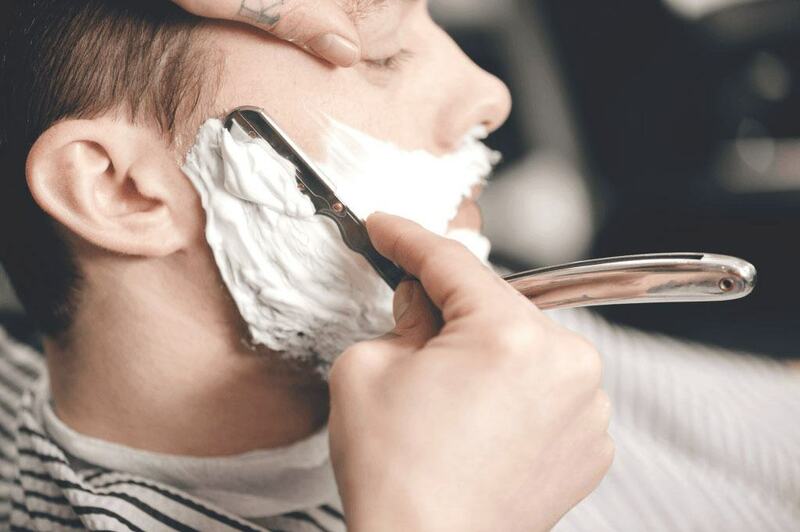 While there are different kinds of razors that you can use to keep your face smooth, nothing gives a close shave quite like the traditional straight razor. Its sharp blade can give you the closest shave while at the same time being the most cost-effective option, and can even last you for the rest of your life provided that you strop and hone it regularly to keep its edge. However, because it’s so sharp, it can even cause you serious injuries if you’re not careful enough when stroking the razor against your facial hair – something which these four steps can help you with. 1. Start by hydrating and lathering your face. Ideally, you want to rinse your face with hot water as this will allow the pores to open up and the sebum to soften. You can do this by soaking a small face towel in hot water and wrapping this around your face for a while until the towel cools. Once this is done, lather up your face with a shaving product (i.e. shaving cream, butter, or soap). If you’re using a shaving brush, be sure to soak it in hot water before using it to apply the product to your face. 2. Grip your razor properly. This is perhaps the most crucial thing you need to keep in mind when using a straight razor to shave your face. 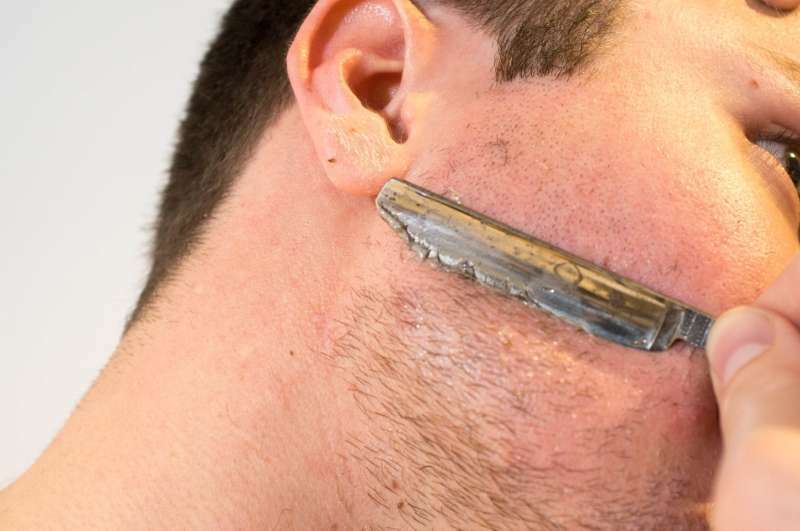 Not doing this properly could result in serious injury, if not cutting your face and making shaving an extremely painful experience. 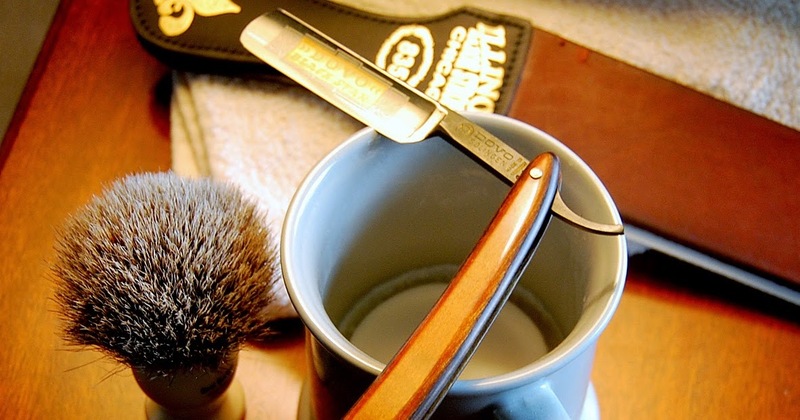 The proper way to hold a straight razor when shaving is by placing your thumb on one side of the shank (the part of the blade that connects to the handle) and your index, middle, and ring fingers on the opposite side. Finally, your pinky finger goes on the tang. This is the basic way to hold your razor, and you can adjust this grip accordingly to give yourself better leverage and control when shaving. 3. Hold your blade at a thirty-degree angle. Avoid directly pointing the blade at your skin or stroking it at a direct angle, as this will not be an effective way to shave. Instead, adjust the blade so that it points to your skin at a thirty-degree angle downward, and the handle should be near your nose. To make this easier for the blade to give you a clean shave, stretch your skin with your free hand and shave with the grain. Remember to use short strokes.